Cragar Nomad I Wheel Size: 15" x 8"
Cragar Nomad I wheels are powdercoated white with red and blue striping and feature an All-steel construction with eight spokes. Cragar Nomad I wheels Jare available in many sizes and bolt patterns allowing them to fit a wide variety of applications. 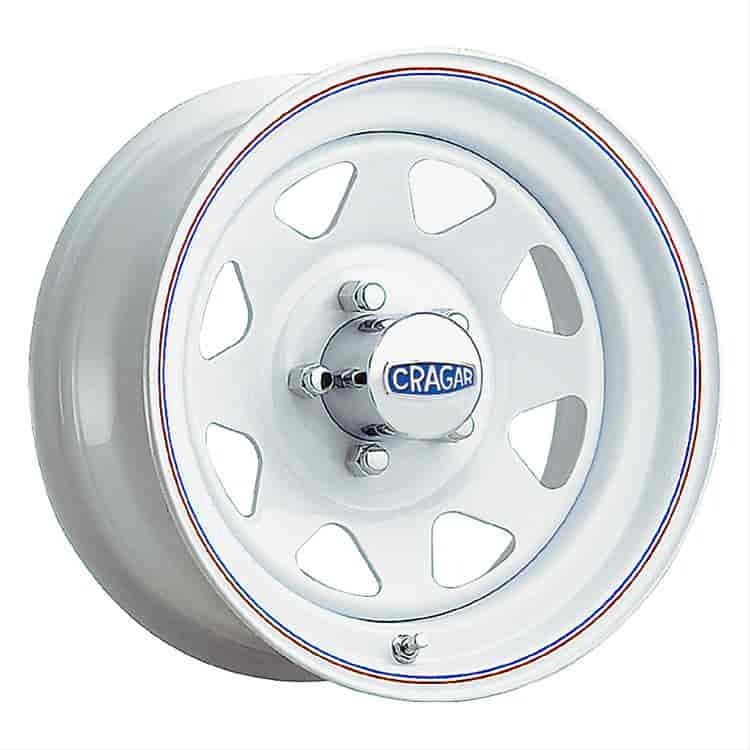 Jegs also carries Nomad II Wheels in chrome. Wheel and Tire packages are available with all Cragar wheels. 3105855 is rated 5.0 out of 5 by 2. This wheel uses number 260 29271-1 for the cap.